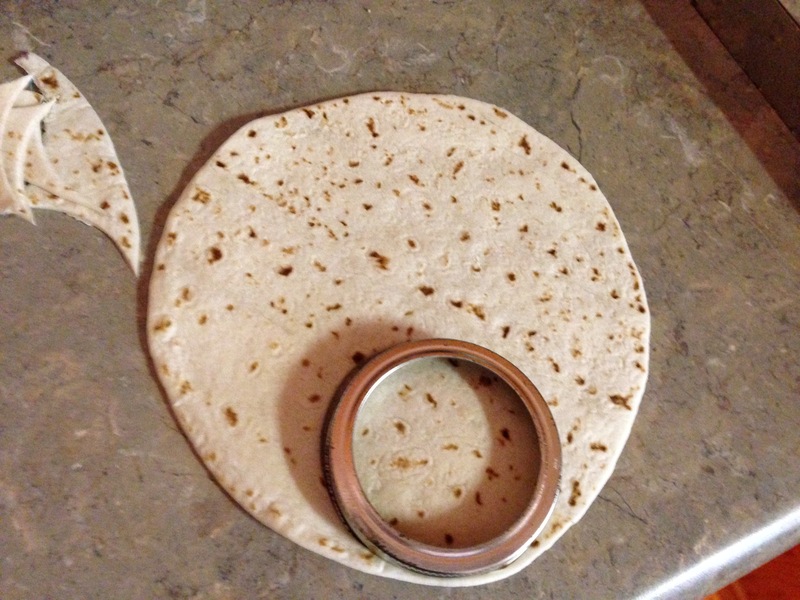 How about something new and fun for Tuesday? Tuesday kind of gets lost in the shuffle of the week, but it deserves its own spotlight every once in a while. To give it that bit of attention, how about a random list of 10 things this week? 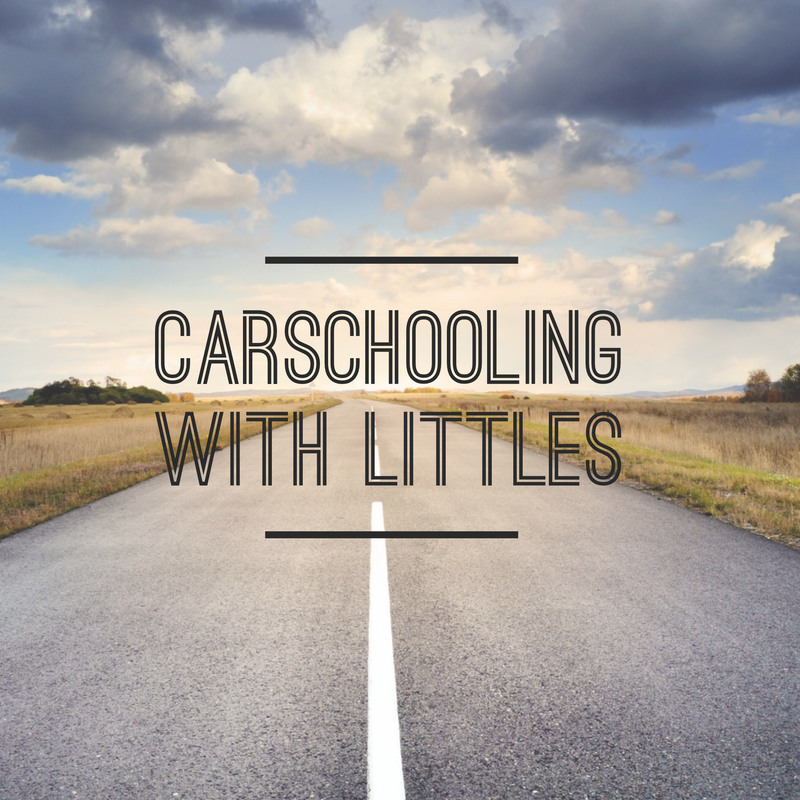 Today I’m sharing 10 of our favorites for carschooling – learning on the go! This Fall will be a bit busier than last year with the addition of homeschool co-op to our schedule. This summer we enrolled in a (somewhat) local homeschool group. Each Fall and Spring semester our homeschool group has a cooperative learning day on Mondays where parents teach different classes, and the kids get to join their friends to learn new things. This will be our first time being involved in a co-op, so I’ve been a little stressed about how to make sure it is good and fun and not a huge headache for our family. The first hurdle was just how to fit it into our schedule. We live 45 minutes away from where it is held (with no closer options! ), so that means we won’t have much time for structured lessons on Monday mornings. It also means we will be spending lots of time in the car. To ward off some of the whining and “Are we there yet?”, and to save my own sanity from 300,000 games of I Spy With my Little Eye and 4700 “I gotta potty! !” stops for the toddler who is really just bored (and thinks I can be talked into buying snacks like Daddy 😉 ), I started looking for ways to make that car time more fun and useful and less annoying. That has lead to our collection of fun CDs! This classic by Bill Martin Jr. is a favorite in our home and our van. My kids love listening to the story over and over and making all the sounds themselves. When Skippyjon Jones (by Judy Schachner) entered our world 4 or 5 years ago, I knew immediately he would be around for a very long time. A few years and kids later, everyone still loves this mischievous Siamese kitten who wants to be a chihuahua and all his crazy antics. We all crowd around at bedtime when these stories are read, and in the car we all chime in with “Salchichas! Salchichas! Sausages and peaches!” when we listen to Skippyjon Jones Snow What. 4. Song School Latin – This CD of songs is actually part of our Latin curriculum. Since my boys are only 5 & 4, I’ve stashed away the workbooks for later down the road. For now, they pull out the DVDs at home just for fun, and we sing along to the CD in the car. I’ve been so impressed with not only how much they enjoy it, but also how much and how quickly they are learning. It cracks me up to hear them greet people in Latin! 5. Sounds Like Learning (Discovery Toys) – This fun CD has everything from familiar nursery rhyme songs to songs teaching counting by tens and the months of the year. I can’t honestly say I love every song, the ones we do love, we listen to a LOT. 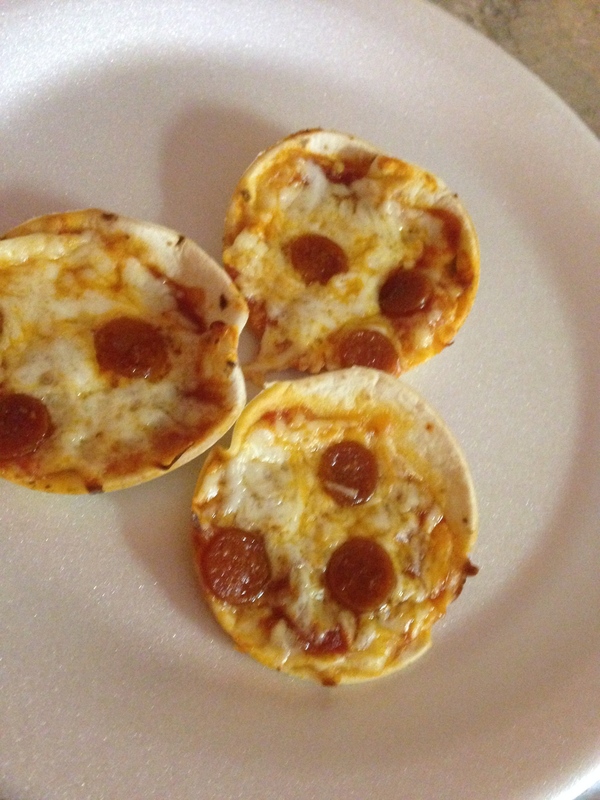 It was very helpful when my oldest son learned to count by tens! 6. Giraffes Can’t Dance (audio book) – This book and accompanying CD by Giles Andreae was a gift to my kiddos from my mother-in-law. (Having a former preschool teacher as a mother-in-law definitely has perks – like her entire classroom collection of books!) It’s a cute story about Gerald the giraffe who believes he is too clumsy to dance with all the other animals at the Jungle Dance, until he realizes that he just dances to a different tune. 8. Rachel & the Treeschoolers – As you may have figured out by now, our family loves everything about Little Hands Productions, and the Treeschoolers series is no different. Each DVD is accompanied by a CD of the songs from that episode, and these have proven to be a big hit with my crew of littles. Fun music, sign language, and science all rolled into one! This nerdy mom definitely approves! 9. Hide ’em in Your Heart – This collection of songs by Steve Green are some of my favorites. The songs are a great way to help my kids (and myself!) learn scripture! 10. The Hollow Trees – FUN music for kids of all ages inspired by traditional bluegrass, country, and folk music. The whole family loves this one, really. How often can you say that you actually love a CD of music made for kids? So there you have it. 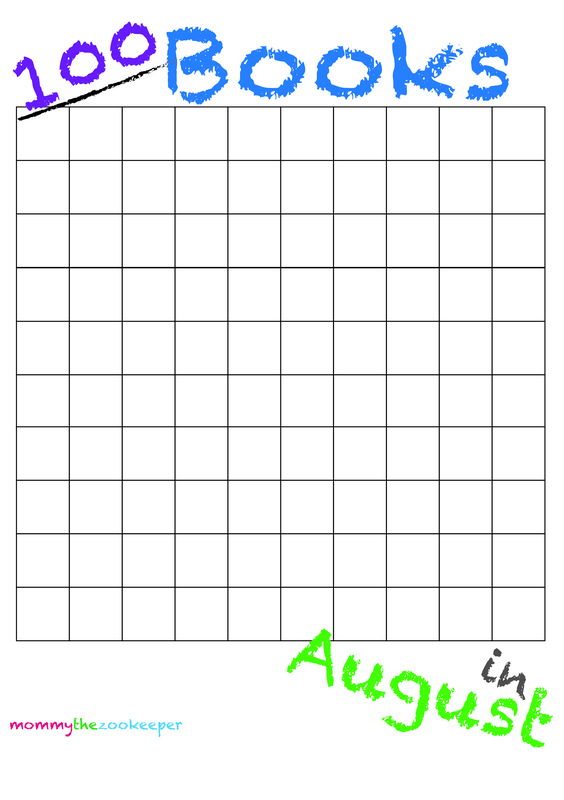 The first Tuesday 10 – our family favorites for making car time into learning time without losing my mind. 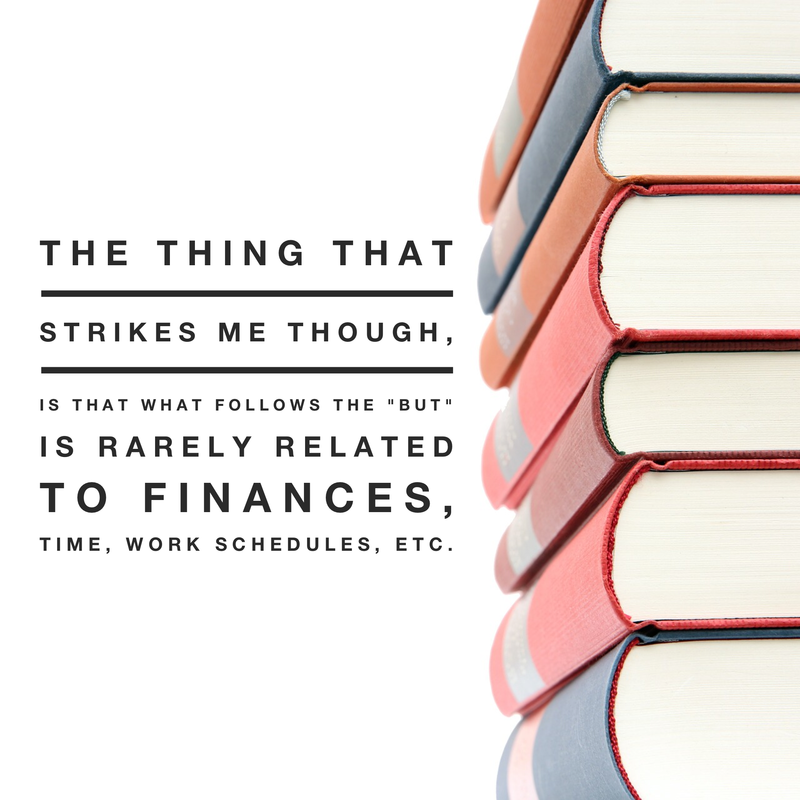 “I wish I could homeschool, but…” Over the last few months, I seem to have heard this phrase more and more often. Mothers, wishing to have the opportunity to teach their children themselves instead of handing a job, that God has placed on their hearts as their own, over to someone else. Fathers, wishing to be more involved in their children’s education and the opportunity to teach life skills and work ethic. 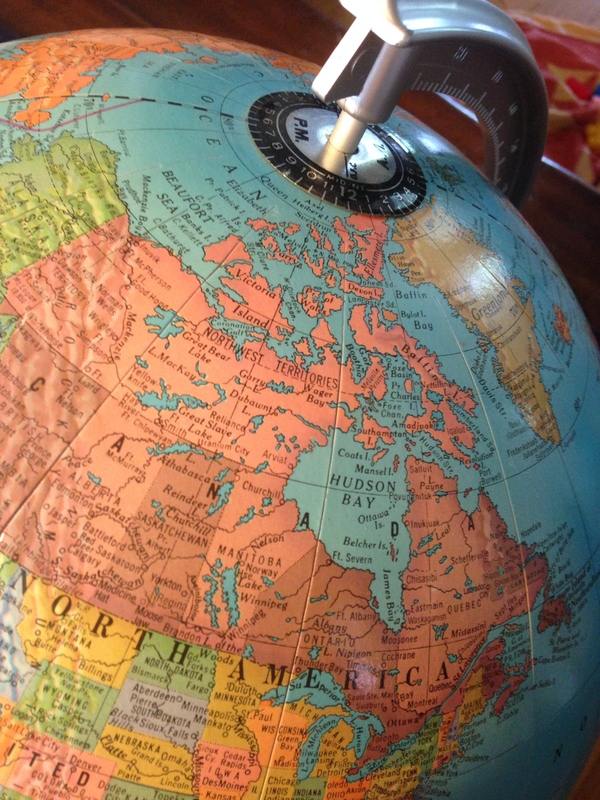 Let me tell you something: homeschooling parents all over the world, have those same thoughts. Often. 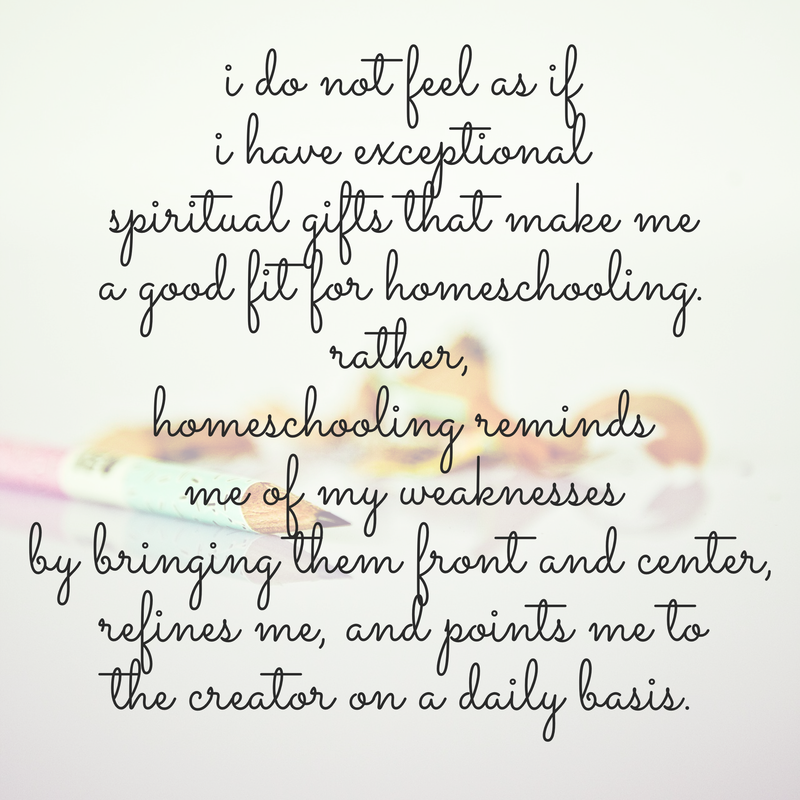 I do not feel as if I have exceptional spiritual gifts that make me a good fit for homeschooling. Rather, homeschooling reminds me of my weaknesses by bringing them front and center, refines me, and points me to the Creator on a daily basis. I have learned the importance of not only asking my Heavenly Father for forgiveness, but also my children. I have learned, and am still learning, to grant them the same complete forgiveness and clean slate that He offers me. God did not grant me with an uncommon ability to be patient at birth. (However, He has used homeschooling to grow me in that area!) I have 4 kids, ages 5 years old and younger, and am expecting our 5th this Winter. I assure you, there are plenty of days my kids make me crazy, and there are plenty more days when I make them crazy. Daily, God uses our time together to teach us all about what it means to live in unity. I also am taught almost daily about turning to the Father for my strength. If I do not go to Him, homeschooling is too much for me. It is hard. There has been, and will be again, frustration, doubt, exhaustion, and tears. But when I hand it over to Him, I am reminded that this isn’t just a task I woke up one day deciding I wanted to try for the fun of it. God laid it on my heart several years ago to educate my children at home, and after the rain comes a rainbow. A reminder of his promise to see my family through the journey we have been called to. It is not unusual for me to struggle, have hard days, and be utterly exhausted emotionally, and then have a day of rest – a day when a concept finally clicks for one of my kids, a day when we enjoy each others’ company and spend time learning as we run errands or reading lots of stories, on the grass under a tree. Now, I must say, I do not believe God calls every single parent in the world to homeschool. Some He does. Some He doesn’t. Some, He calls to homeschool only for a season. It breaks my heart though, to see families that have the desire and God’s blessing, but still allow their doubt of their own abilities, or their spouse’s abilities, (and in turn God’s abilities) to keep them from seeking out a way to educate their children at home. If God has laid the task on your heart, be encouraged, He will also give you the strength and everything else you need to follow his directions. If that is you, struggling with the calling, but lacking the confidence, or even desire, know that I am praying for you this morning. Praying that you would put your trust in Him, be encouraged, and that you would search out Godly advice and fellowship on this important decision. This week, my middle two kiddos are learning about the letter P. I’m working on recognizing the letter with my 2 year old and phonics and writing with my 4 year old. I’m not using any specific curriculum with the 2 year old. The 4 year old will begin Handwriting Without Tears in a couple of weeks, but for now I’m just doing lots of different activities and reading. We started off with some simple activities and discussing the letter P.
I showed them our letter of the week poster, and we took turns listing off a few words that begin with P.
What begins with P? 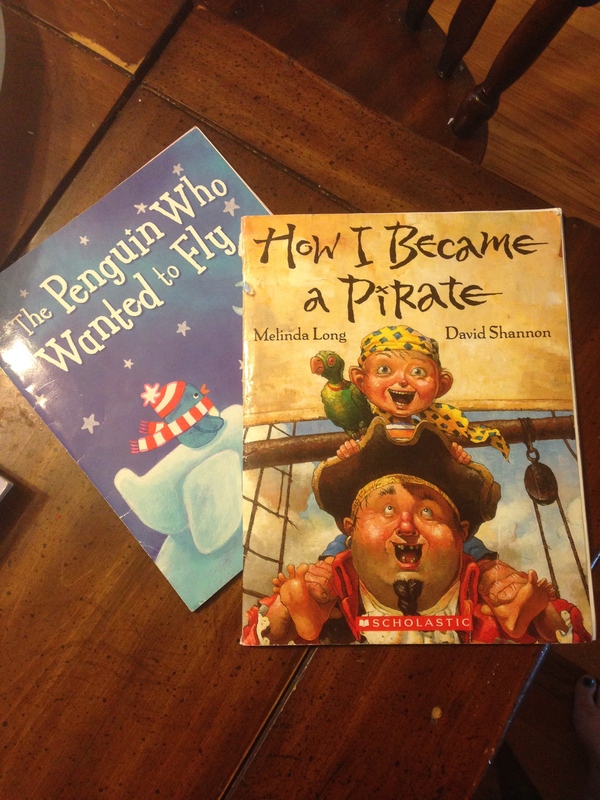 Penguins and pirates of course! 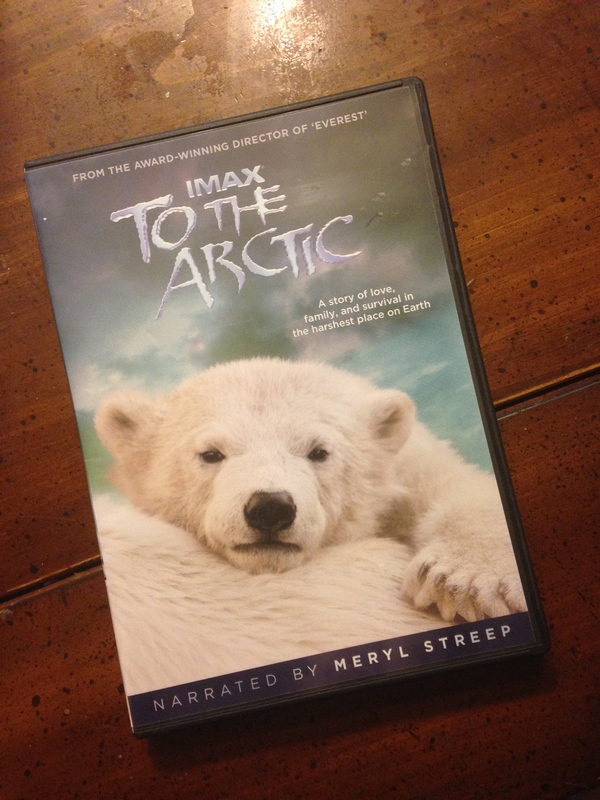 I bought this movie, To the Arctic, a few days ago, and the kids have begged to watch it every day, so today was finally the day! They also colored pictures of polar bears I printed from coloringpedia.com to work on fine motor skills, and the boys did this cute maze from makinglearningfun.com. What else begins with P? Last August I used the 100 Books in August challenge to get us back into the swing of things for school. It was a big hit with the kids, and at the end we celebrated our accomplishment with a family night out to eat pizza and play putt putt. A few weeks ago, my oldest son mentioned it, so I decided we would try it again! The boys got excited as I printed out our sticker chart this morning, so I have no doubt they will once again be reminding me each day how many books we need to read that day to meet our goal. If he reads a book, he has to read it aloud to his siblings (because this is 100 books for everyone! ), bring it to us, answer a few questions, and then read a bit of it aloud to us, for it to count. Books such as our science or history textbooks for school do not count. For this year’s reward, we have chosen a family date at Chuck E. Cheese’s. It was a suggestion from our oldest. 🙂 I prefer the reward each year to be something fun the whole family can do together, instead of just purchasing something. We read together, and we celebrate together! I will definitely be sharing some of our reading here, but I’ll also be sharing throughout the challenge on Instagram! If you would like to join in, link back to here on your blog posts and/or follow me on Instagram and include the hashtags #mommythezookeeper and #100booksinAugust. It’s fun seeing what everyone else is reading and getting ideas for new books to look for! And leave a comment telling me what your reward will be at the end of the month! Be sure to click HERE to print out your own sticker chart too!